Bleeding after Birth Complete is a module designed to reduce maternal deaths caused by post-partum hemorrhage. The module builds capacity of the entire team of health workers who provide care for women and newborns at birth. With HMS-BABC, skills are built around communication and teamwork, active management of the third stage of labor, early detection and basic management of PPH, and advanced care skills. These skills include management of shock, uterine balloon tamponade, manual removal of the placenta, repair of cervical lacerations, and use of the non-pneumatic anti-shock garment. The materials include a Flipbook, Providers Guide, and two Action Plans, as well as a folder of necessary supplemental materials that are critical components for success. HMS Bleeding after Birth Complete is endorsed by ICM, FIGO, UNFPA, ICN, AAP. 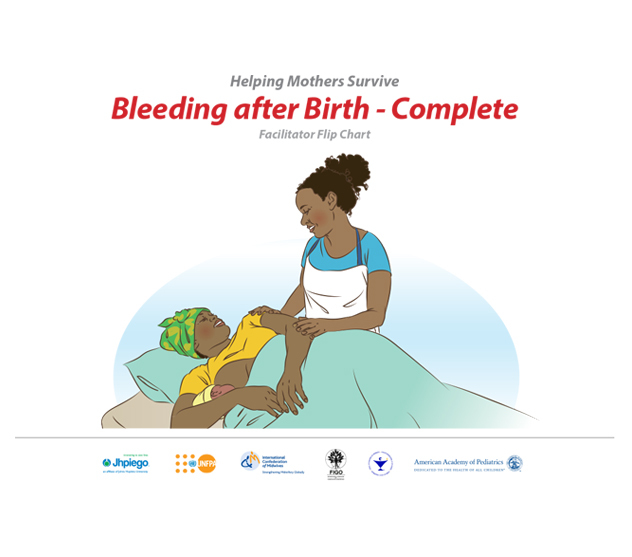 You can download the full package of Helping Mothers Survive Bleeding after Birth Complete training materials at no cost below. While a variety of simulators may be used for this module, we have found the MamaNatalie simulator a low cost, portable, and durable option which allows for role modeling respectful care. If you are interested in ordering a MamaNataliefrom Laerdal Global Health, please visit their site.